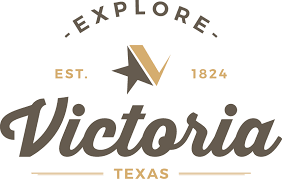 IN THE HEART of the Texas coastal plains region, Victoria marks the crossroads of highways bound for Houston, San Antonio, waterfront Corpus Christi, and border-town Brownsville. Discovered by explorer Cabeza de Vaca in 1530 and colonized in the 1800s by an empresario from Mexico, today’s Victoria is the place to check out America’s best barbecue, the state’s oldest Reuben, the Guadalupe paddling trail…and that’s just the start of it. 1. Barbecue crawls beat bar crawls, hands down. The Great Coastal Texas Barbecue Trail recognizes eight award-winning, family-run barbecue joints that serve Texas-sized portions of meat, home-cooked sides, and Southern hospitality. These hard-working owners are former food-truck owners, photographers, meat-packing managers, and caterers. They’re preparing and dishing your slow-cooked brisket flavored with mesquite wood smoke, bacon-laden baked beans, and creamy potato salad. There are restaurants on the trail rated better than Lockhart’s and Austin’s most iconic spots, and the lines are shorter. And if you eat at three of the eight restaurants and take your receipts to the Explore Victoria Visitor Center, you get a free t-shirt. 2. Beyond BBQ, Victoria does the best road trip food. Don’t leave Victoria without having the three Bs: burgers, burritos, and brunch. Burger Nation has all the bread, meat, and topping combos you could think of, plus original concoctions: a sweet and salty chicken & waffle burger, the ham-and-pineapple-topped Hawaiian, and the cheese-and-pepper-filled Stuffy. Local favorites Jim’s Big Burger and Dairy Treet prepare tasty old-fashioned burgers and shakes. La Hacienda’s Mexican Café smothers burritos in spicy chili gravy and makes some killer cocktails. Or get in line at the crack of dawn for TNT’s big ol’ breakfast burritos. Ramsey’s Restaurant is a 60-year-old diner known for its biscuits and gravy, steak ’n eggs, silver-dollar pancakes, and omelets. And at PumpHouse Riverside Restaurant and Bar’s Sunday brunch, you’ve got choices like pulled pork and potato hash, Cajun shrimp and grits, and Texas Benedict with chorizo and jalapeño cheese sauce. 3. 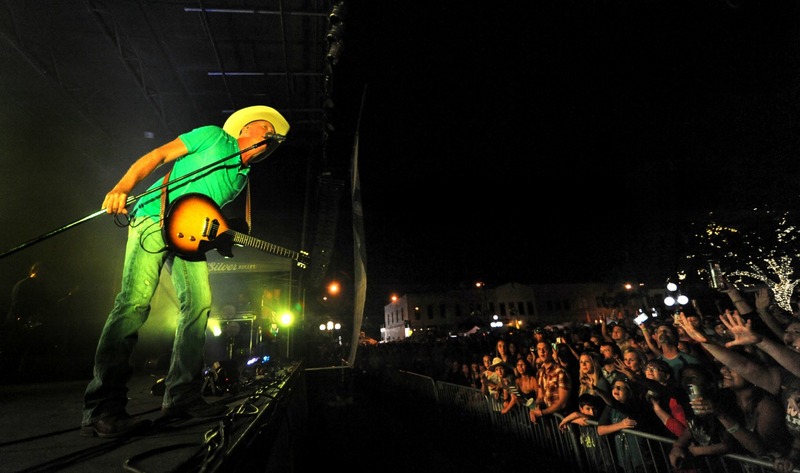 You can two-step at a 30,000-person honky tonk. Towards the end of September, downtown Victoria transforms from a quiet historic center into Bootfest, a festival where you get to catch concert after concert of country and Tejano music and stuff your face at the BBQ street food fair — an entire street featuring some of the country’s best barbecue vendors. It’s also where you can drink at the South’s biggest truck-free tailgate, a standing-room-only college football-game-watching party where you can whoop and holler for your (or at least someone’s) alma mater. Bootfest also features a craft mall and kids’ zone both days, a half-day classic car show Saturday, and fireworks Saturday night. And it’s all totally free. 4. There’s 13,000 years of Lone Star State history on display. Victoria is the kind of place where you get to see Spanish swords and jewelry and a 400-year-old French cannon brought over by early explorers. The Museum of the Coastal Bend exhibits artifacts from French explorer La Salle’s 17th-century colony, which was situated a stone’s throw from modern-day Victoria, and La Belle, the last of his ships, which sunk while on an outing across nearby Matagorda Bay — an event that permanently stranded the colonists. 5. And it’s the kind of place where you can hunt for ghosts. Victoria’s Evergreen Cemetery is said to be home to some 9,000 spirits, including the city’s founder, Martín de León. On select Fridays and Saturdays around Halloween, the dead awaken — portrayed by actors in period costumes — to tell stories of their lives as important Victorians. At the 1892 Victoria County Courthouse, outlaws condemned to death by hanging are said to continue to cause trouble, and paranormal investigators and horror film crews flock to the nearby abandoned Yorktown Memorial Hospital for recordings and footage. 6. You’ll get to know some of Texas’ 590 bird species. Through December 17, 2016, the Museum of the Coastal Bend’s “Flights of Fancy” exhibit introduces hundreds of the species that have helped give Texas the title of the state with the greatest diversity of birdlife in the US. You’ll soon be identifying elf owls, green jays, and northern jacanas to impress local folks. If birding’s your thing, head to Coleto Creek Park and Reservoir, a large natural reserve between Victoria and Goliad, where you’ll likely see those colorful green jays, and — if you’re lucky — bald eagles. 7. 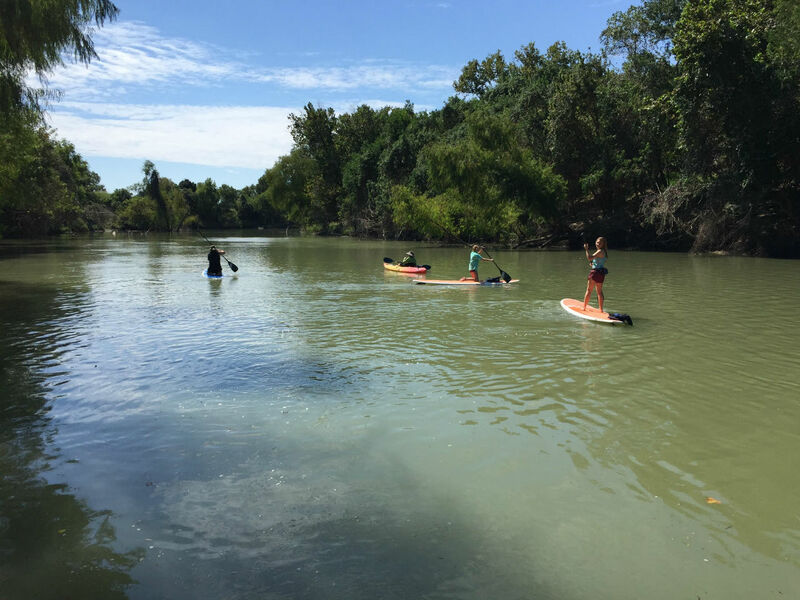 There’s nothing quite like paddling the Guadalupe. The Guadalupe River runs 230 miles from the Texas Hill Country to Victoria before spilling into the Gulf of Mexico. Paddle into the leisurely currents and enjoy the occasional shade in the shadows of towering cypress, pecan, and mesquite trees. You may even glimpse the green kingfisher, a small bird native to Southern Texas and Central and South America that preys on water insects and small fish. Gerry’s Kayaks rents kayaks and paddleboards and offers riverside dropoff and pickup shuttles. Book a group tour to spend a half or full day kayaking the area’s lakes and streams, or cast for trout on a guided fishing trip. 8. It’s home to the state’s oldest deli. The general store facade of Fossati’s conjures up images of saloon brawls and pistol-whipping cowboys; there’s even metal rings dating back to a time when folks used to tie up their horses before going inside for a drink. The delicatessen here was opened in 1882 by Italian Frank Napoleon Fossati, and it has a ton of atmosphere. Not only did Willie Nelson once play here, but in the backroom you’ll find a giant bookcase filled with hundreds of old cookbooks, some of which must be out of print for at least 50 years. And that trench-like area just above the floor surrounding the bar? That’s where patrons used to spit their tobacco. On weekdays this is the place to get your lunch. Recommended: Request a dollop of beer mustard on your sandwich — the spice sneaks up after a couple of bites, and you’ll need to chase it with a Dr. Pepper before you drive off into the sunset.